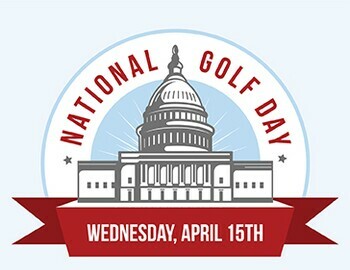 Come celebrate the 8th annual National Golf Day with us on Wednesday, April 15th. The 2014 National Golf Day was the most successful to date. The also hosted live golf lessons for members of congress as well as "Closest to the Pin" contests, state-of-the-art swing analysis from GolfTEC, Republican vs Democrat "Putting Challenge" and many more contests. But the day wasn't just fun and games. They hosted over 120 scheduled Congressional meetings in just one day! Our golf leaders and other featured special guests discussed golf's tax benefits to local communities and asked for equal treatment as a legitimate industry.